The eye injury Manny Pacquiao suffered in a unanimous-decision win over Adrian Broner is a scratched cornea, and the Filipino ring icon is already on the mend, a spokesman for Pacquiao's camp said Monday. In fact, the 40-year-old fighter had already shed his eye patch and was feeling fit enough to attend Monday night's NBA game between the reigning champion Golden State Warriors and the Los Angeles Lakers at Staples Center. 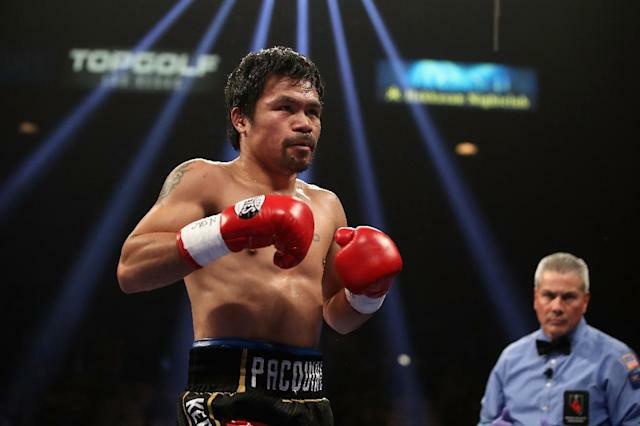 But the eye injury -- possibly caused by loose tape on Broner's gloves -- wasn't the only bad news for Pacquiao in an otherwise productive weekend.